Bespoke furniture for a shared workspace for start ups and small businesses. The brief was for furniture that would be easy to construct, glue and fixings free, maximise storage, create divisions between desks whilst still maintaining visual permeability and be cost effective. 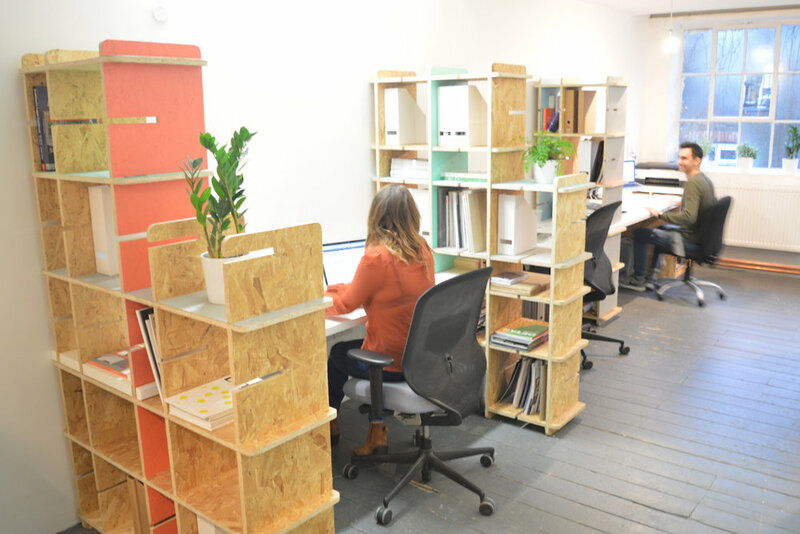 The solution is based around CNC cut panels of OSB board which slot together to create shelves, the desks have grooves in them and slot in to the shelving system.